In the early 1900s, records state that “there was no public place in Elyria for the care of the injured or sick.” A committee of prominent community members, including F.A. Smythe, Edgar F. Allen and Reverend John P. Sala, met on May 28, 1907 to discuss the formation of a permanent hospital in the city. Little did they know that two days later one of the most tragic accidents in Elyria’s history would occur. On Memorial Day in 1907, streetcar No. 129 was heading down Middle Avenue toward downtown Elyria. The car was overloaded; some passengers were standing and sitting on a platform on the rear of the car. A second streetcar, No. 123, was following closely behind, trying to help alleviate the congestion. When No. 129 made a stop at 5th Street near Elyria High School, apparently the driver of car No. 123 did not notice – records indicate that he was observing a dead dog alongside of the road. In broad daylight, the two streetcars crashed into each other, severing the legs and feet of many who were on the platform of the lead car. With the lack of adequate hospital facilities in the area, the death toll from the accident reached nine; eight lost one or both legs, two were crippled for life and scores of others suffered from various injuries. Two of the fatalities included the children of Edgar “Daddy” Allen and Reverend Sala. The grief-stricken community was more determined than ever to build a hospital, and on June 4, 1907, a hospital company was incorporated and a $100,000 building fund was underway. By the end of the campaign, the new hospital had exceeded its goal by $5,000. On November 17, 1907, more than 2,000 people gathered to witness the cornerstone laying by Mr. Allen and hear featured addresses by Reverend Sala and Mayor Clayton Chapman. 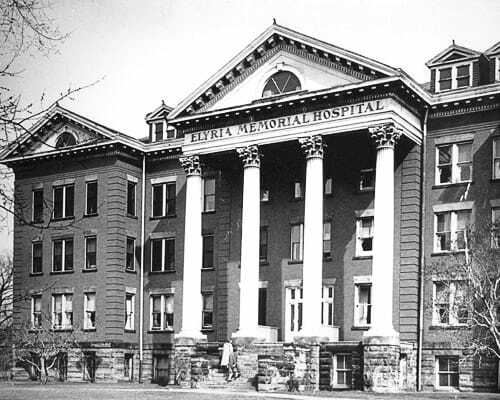 Less than one year later, Elyria Memorial Hospital opened its doors on October 30, 1908 with 36 beds. Turning his personal tragedy – the loss of his son in the streetcar accident – into something positive, Edgar Allen not only worked to open Elyria Memorial Hospital, but also the Gates Hospital for Crippled Children, in 1915. 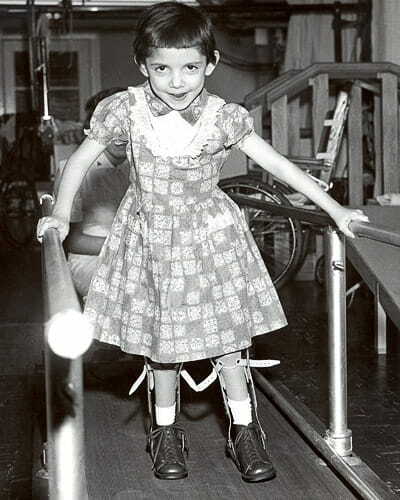 The facility was the first in the nation to be devoted exclusively to the care and treatment of crippled children. 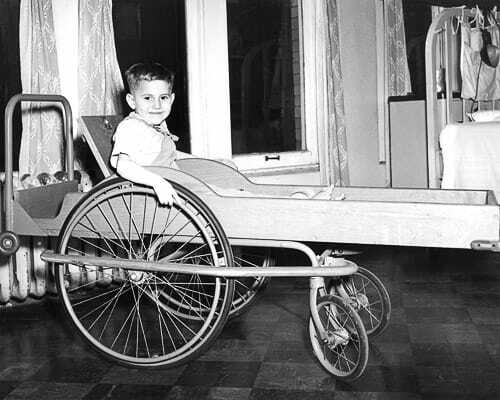 Allen went on to form the Ohio, National and International Societies for Crippled Children, and through his tireless efforts to raise funds and awareness, in 1934 the Easter Seals Society was born. An Ohio Historical Marker commemorating Allen’s work currently stands on the grounds of UH Elyria Medical Center.